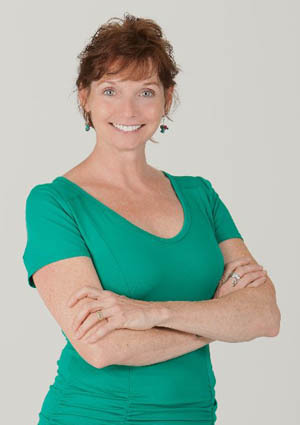 Gini Murphy, Founder of S.T.A.R. Pilates has been a passionate teacher of movement for over 20 years. Her initial training in traditional Pilates, along with completing two certifications in contemporary Pilates, coupled with her years of teaching dance has enabled her to empower each individual client with the knowledge and tools to care for their body by teaching them that how you move is of utmost importance. Gini trains people of all ages and fitness levels whether novice or experienced. Her specialty is instructing those with injuries and chronic conditions due to her extensive Pilates teaching in physical therapy clinics where she was engaged in sports rehabilitation, post-operative rehabilitation and aging populations. Her objective is to is to have her clients gain strength, flexibility and knowledge of proper biomechanics so that it can be applied to everyday life in conjunction with the understanding needed to manage, maintain and improve the health of their body. Gini attends yearly continuing education courses. She has completed STOTT Pilates Zen*Ga, STOTT Pilates Total Barre, Relief Through Rolling (RTR), STOTT Pilates Fascial Movement Instructor Course and is also a MELT Certified Hand and Foot Instructor. Christine is an Advanced MELT Method Instructor that works with private clients as well as teaching MELT classes . She holds MELT workshops and Intensives throughout Florida. She has worked in a Physical Therapy clinics, MELTing patients helping to improve their outcome. She has received certification through Pilates Academy International, is a Certified Personal Fitness Trainer, TRX Certified Instructor, as well as a Certified Spin Instructor. She is an avid runner, training marathoners and tri-athletes alike. Continuing Education is an integral part of Christine lifestyle. She has taken many STOTT Pilates courses, Pilates for MS, Anatomy Trains (Tom Myers) courses, STOTT Pilates Fascial Movement Instructor Course, Relief Through Rolling (RTR) and numerous MELT courses. Christine is also a Reiki Master in the Usui tradition. She continues her education in bodywork combining all her knowledge to create a specific protocol for each client. We are ecstatic that she is part of the Star Pilates Studio! Don’t miss out on the fun – get on the balls and rollers! Jennifer Cancio, Ph.D., has been teaching Pilates for over 15 years as a means of helping others acquire personal fitness and improve overall body conditioning and prevent injury. Jennifer’s interest in Pilates began after sports related knee and back injuries led her to seek rehabilitation through Pilates. After trying various methods to heal from her injuries, she quickly discovered the benefits of the Pilates method to condition her body and prevent injury. Jennifer’s enthusiasm for this method motivated her to learn more about Pilates and eventually seek training and certification in Pilates. In 2002, Jennifer completed her mat certification through the Physical Mind Institute under the instruction of Maria Leone in Beverly Hills, CA (Bodylinela.com) and pursued a second certification in Standing Series Pilates. In 2004 she earned her teacher training certification through the legendary Long Beach Dance Conditioning in which she completed over 500 hours of Pilates training including apprentice work. Jennifer is PMA certified which means she is certified under the Pilates Method Alliance – the largest internationally recognized Pilates certification organization. She is an active member of the PMA. From 2005 – 2011 Jennifer lived and worked in Tokyo, Japan where she taught the Pilates method to a variety of clients ranging from those recovering from injury, to university swimmers and professional dancers and rotational sports. She speaks Japanese fluently. joining S.T.A.R. Pilates, Jennifer had been working in a clinical physical therapy setting in Vero Beach at Back in Form Physical Therapy, and has experience with sports related injuries and pathologies. Jennifer has an extensive background in anatomy, body biomechanics and muscle system. She specializes in customizing and designing individual exercise programs for clients recovering from injury or surgery as well as for the well-seasoned athlete who wishes to enhance sports performance. Jennifer prides herself on her meticulous eye, attention to detail and creating exercise programs for people at all fitness levels. She is certified under the Pilates Method Alliance (PMA) and continues to enhance her professional expertise by regularly attending training workshops throughout the year. She earned her certification as an IIN Health Coach in 2012 and is passionate about coaching others about health, wellness and disease prevention.